"Διώνη" : What are the most challenging business opportunities in the Mediterranean & Eurasian zone? What are the most challenging business opportunities in the Mediterranean & Eurasian zone? Mr. Costas Vamvakas, the President of the Greek-Azerbaijani Chamber of Commerce, met on May 9th in Athens with the Master Student – Erasmus Intern from Baku Vugar Mamedov on behalf of Elis’ Local Development Centre "Dione" and the social cooperative enterprise “Eco Divri”, and discussed about the financial, industrial, commercial and tourist relationships between Greece and Azerbaijan. -What kind of issues are the Greek companies interested in Azerbaijan? The Greek companies that get in contact with the Chamber usually want to get informed about the business and investment environment in Azerbaijan and in the Caspian area in general. More specifically, they are interested in exports to this country, mainly of products in the branch of food and beverages, ICT, software CRM & ERP systems but also in cooperation in the fields of business consulting and development issues (sales and marketing) cost reduction (supply chain and production), exports enlargement. Moreover, there is interest in the pharmaceutical sector as well as in the sector of construction and building materials and technical companies. Companies in the fields of olive oil, packaged meals and building materials have a significant experience in Greece and are interested in expanding their activity in the concerned area. -What are the most frequently asked questions about Azerbaijan and what are the points of concern? The most frequently asked questions from the side of the Greek companies to the Chamber concern the customs tariff in Azerbaijan as well as the ways to approach the Azeri market. Particularly, companies that export products to other countries are interested in learning which products are on demand in Azerbaijan this period that the government is promoting the diversification of the economy, given the low fuel prices that strongly influenced the Azeri economy. It is really difficult to find appropriate companies from the Azeri market to represent the Greek products and enterprises. -According to you, which sectors are at a low level for now in the bilateral relations, but have the highest priority? Our view is that in the field of food products there is a high potential for the development of the Greek companies. However, Greek exports are still in low levels compared to the desired level. This is where we think it is necessary to focus even more and we are seeking for cooperation with Azeri companies towards the further development of our relationship. Moreover, the tourism sector constitutes a potential ground for cooperation, since Greece possesses the know-how and Azerbaijan is currently developing in this field. In addition to the Greek ICT sector we consider has high potential for expansion in Azerbaijan. -How do you evaluate political relationships between Greece and Azerbaijan? I think that the bilateral governmental relationships are at the upmost level and the Greek government fully supports the deployment of the TAP pipeline in Greece which is a project of significant importance for both countries. -Exhibitions and conferences are perfect for collaborations. The EU-Azerbaijani Business Forum will be organized on 8th June in Baku. Do you have any members that are considering to join this forum? For the upcoming event there is strong interest from Greek companies to join the forum. Also, last year the Chamber organized a business mission to Baku and took part in the EU-AZ FORUM last May. The Forum was really successful, with workshops that covered issues about agriculture, transport logistics and tourism. Additionally, business B2B meetings took place, which were organised for all the participants by the well-established AHK (German-Azerbaijani Chamber). -Your goals contribute to strengthening the Greek-Azerbaijani business partnerships. Are you satisfied with the level of success so far? The Greek-Azerbaijani Chamber of Commerce Chamber aims in promoting the trade of its members between the two countries and is working towards this direction. This is accomplished with the cooperation at a government level as well as with the cooperation with private institutions. Meanwhile, we inform our members about the investment opportunities in priority sectors for both countries and we direct the interested parts in their effort to encounter business partners. In this context we undertake sector-specific business missions in order to conclude business ties. We believe that important business opportunities are emerging in Azerbaijan and in the Caspian countries in General and the Greek entrepreneurs are not aware of. These are politically stable countries with friendly business environment and this is our role to communicate it to the Greek business people so that they can start considering Azerbaijan and the neibouring countries such as Kazakhstan, Georgia for possible investments and joint ventures. -What type of services and support do you offer to your members to join the tender issued in Azerbaijan? We support our members by informing them about the business opportunities and networking and also we provide information about the economic and business environment in Azerbaijan. Moreover, we organize events with a business, social and cultural content, which contribute to a general promotion of the bonds between the two countries. Furthermore, we inform our members about tenders that are being procured in Azerbaijan. -Azerbaijan-Greece have many common characteristics. For example, the demographic situation is almost the same. What other common features take your attention? They are both hospitable and friendly people and take good care of their guests. A research that was conducted some years ago asked the people of Baku about which country’s people they feel are closer to the Azeris and the outcome brought Greeks in the third place, after Russians and Turkish. -Greece and Greek companies have also fought the crisis in the recent past. And they know how to behave during the crisis. Nowadays Azerbaijan is experiencing economic crisis. According to you, is this an opportunity for new investments? Azerbaijan targets to attract foreign investments and there are certain incentives towards this objective. Taxation has been reduced and motives have been given for engagement in Baku. As the last World Banks’s report mentions, Azerbaijan counts within the countries that record the highest development rates. 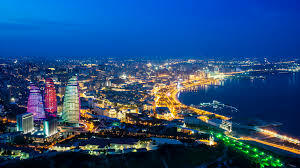 It becomes then obvious that there are very important opportunities for business activities in Baku and this is exactly what we are communicating to our members. -After the oil crisis in Azerbaijan, the tourism sector started growing and getting support by the Government. How do you evaluate the tourism potential of Azerbaijan? One of the basic priorities of the Azeri government is promoting tourism in Azerbaijan. There are more than 600 hotels and accommodation establishments of all categories – of which almost half are found in the Baku region. Events with a global focus, such as the Formula 1 circuit in Baku, aim in setting the country in the global map. Therefore, the promotion of the country as an international tourist destination constitutes one of the most important priorities of the Azeri government. -Sustainable use of natural resources and environmental friendly companies are becoming priorities to each Economy. Do you support and promote Green Entrepreneurship in both countries? The deployment of the TAP pipeline has taken into consideration all these sensitive environmental issues. Additionally, various environmental NGOs recognise conventional natural gas as an effective fuel to transition to a renewable-based economy. Αναρτήθηκε από Dioni LDC στις 5/25/2017 09:57:00 π.μ.